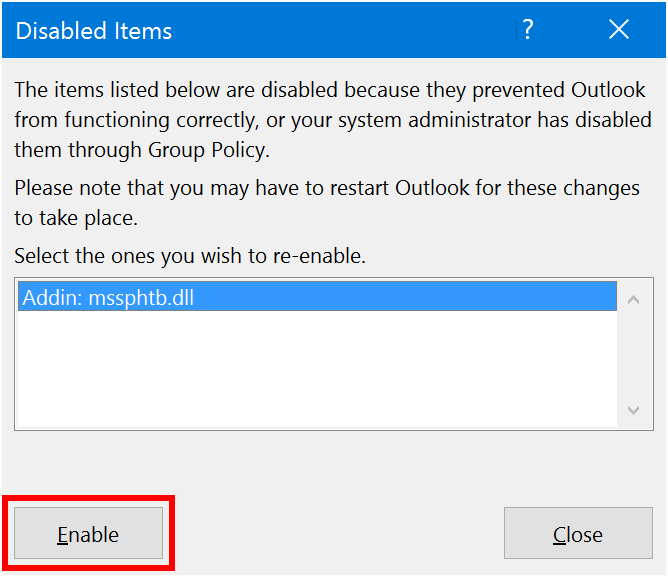 Follow the steps below to troubleshoot and fix a missing Outlook add-in. 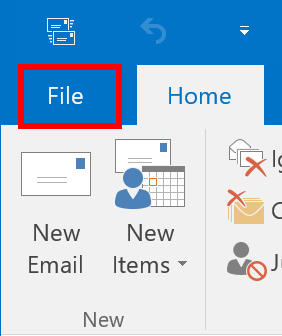 Version of Outlook you are using. Name and version of the add-in. 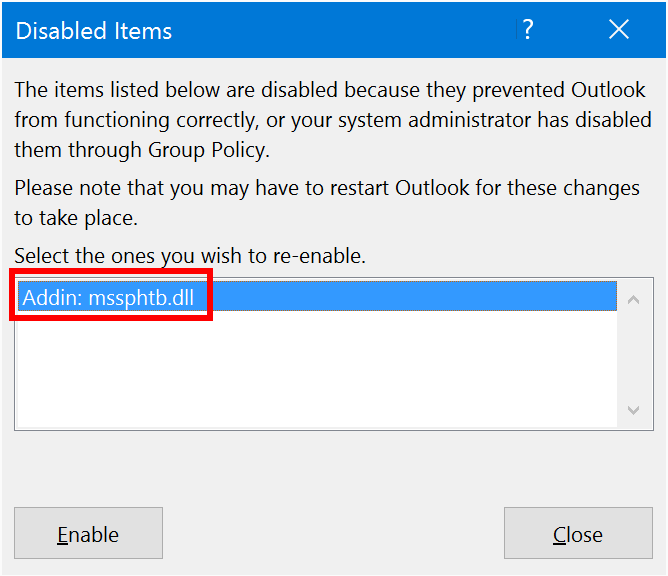 Right after restarting Outlook, under which section of Outlook's Add-ins window is the add-in listed - Active, Inactive or Disabled (see instructions below). Any other details that you think are relevant. Click Add-ins in the left column of the next window. The list of add-ins is separated into three sections - Active, Inactive and Disabled. If the add-in is listed under Inactive, make sure "COM Add-ins" is selected in the "Manage" drop-down and click "Go...". Check the checkbox next to the Add-in and click "OK". Select Disabled Items in the drop-down at the bottom of this window, next to the Go button. Select the Add-in which you would like to re-enable. Click Enable in the lower-left corner of this window. Note: If an add-in is getting disabled frequently, it is likely that your Outlook data file (PST or OST) is getting corrupted. It is a very common Outlook issue. Please see the first two sections of this article for a solution. IMPORTANT: you have to run scanpst repeatedly on every PST file, until it tells you that there are no more errors in the file.